Descriptions: Disk usage report for storage optimization or to keep track of disk usage trends is one of the important routine task for every administrator. 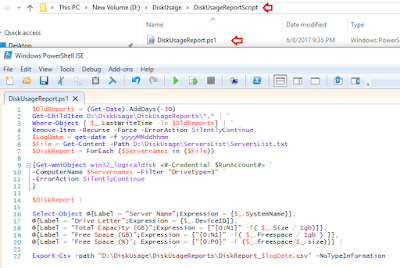 In this article, we would be exploring the PowerShell script to get disk usage report of multiple windows machines in to excel or CSV file. 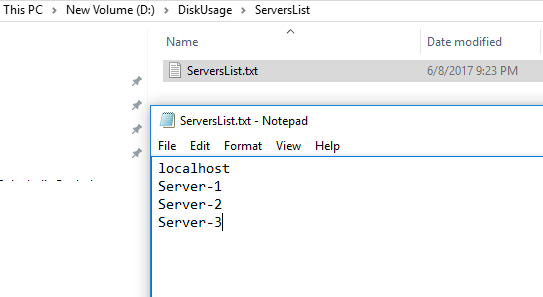 In this article, we will prepare the scenario and logical environment, lastly we will run the PowerShell script to get the CSV report in desired folder location. What has been covered in this script? 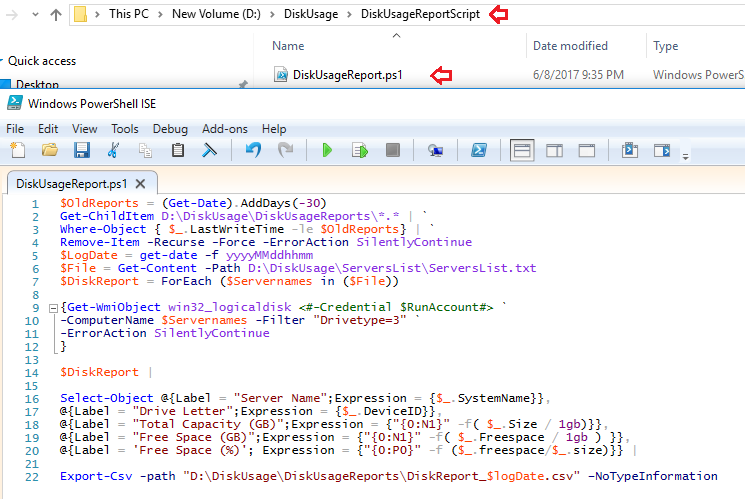 This script is designed for getting disk usage report of windows machines listed in ServersList.txt text file. It will keep only last 30 days report in the folder DiskUsageReports. Prepare a text file with Name ServersList.txt and place it in ServersList folder. This text file should contain the list of windows machines you wish to export disk usage report. Finally, create the PowerShell script with following commands. Now go to DiskUsageReport folder, you should have your CSV report ready there..